Enjoy four seasons of glorious art. 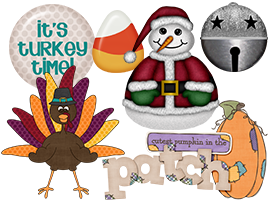 The Seasons Image Collection is a year-round clip art resource you will turn to time and time again. These images bestow the joys of spring, summer, fall and winter plus holidays, including Halloween, Thanksgivings and Christmas. Put the glory of the season into all of your creations. 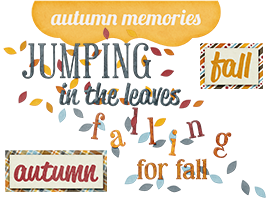 Seasonal images add a nice touch whether you are doing a personal project like a scrapbook, a business newsletter or something for your friends. Impress everyone with the lovely images in the Seasons Image Collection. Just think of all the great things you can do with these seasonal images! Spring: Capture the glory of spring in your projects. 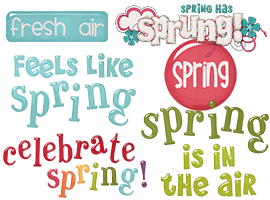 It's easy to think spring with fanciful images of rain drops, clouds, pastel shapes, and signs that say, "Celebrate Spring", "Feels Like Spring", "Easter" "Beauty in Bloom", and more. Summer: Have a look as light and airy as a summer breeze. Could this be everyone's favorite season? 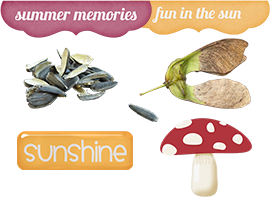 Decorate your projects with butterflies, flowers, mushrooms, trees and other summery images. 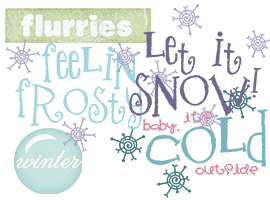 Winter: Bundle up the look of your designs with images of winter. Take your pick of ski boots, bears, snowflakes, snowballs, sleds, pine trees and snowmen to name a few. Holidays: The holidays call for fun, festive art. Give your creations a holiday look that's just right for the occasion. Gather a feast of images that say, "Trick or treat! ", "Gobble, Gobble! ", and "Happy Holidays!" Backgrounds for the Season: Each season has its own distinctive charm and color palette. Give your project a picture-perfect backdrop. 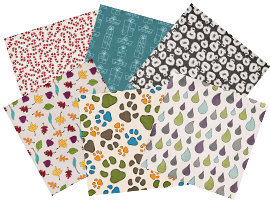 A selection of more than 400 backgrounds, wallpapers, textures, fabrics, dots, lines, scallops, bursts, wavers, leaves and other seasonal designs makes it easy. Embellish your designs even more with matching edging, clamps and clips.